All questions are on the table, and will be answered as much as we can. If you have in interest in joining Freemasonry, or are a member with questions, this is not to be missed! Join us at The Bell for an open panel about Freemasonry starting at 8:15 pm. This panel is appropriate for all who might be interested in learning more about our craft. 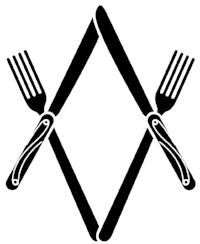 Thank you for RSVPing to our October Open house and panel on Freemasonry! A Panel on Masonry, open to all Please Join us! This event is open to guests interested in Freemasonry, as well as brethren who might still have questions or would like to contribute to the conversation! This is a FREE event, but you MUST RSVP! Brandon Ramirez, Master of Anchor Bell, Jeriel Smith, Master of Southern California Research Lodge, Douglas Russel, Editor in Chief of the "Fraternal Review" and Bryan Godwin, Senior Warden and Author of freemasonlifestyle.com , and will be moderated by W:. Brian Bezner. During our panel we will be providing everyone with a light meal and refreshments, this is hosted free by The Bell, but your RSVP is necessary! Masons and members are invited to join us for our stated Business meeting, which is scheduled to start at 7pm sharp! We will also be starting the evening out with Masonic Guided Meditation at 6:45pm. We will be starting on time so as to adjourn to the open house!